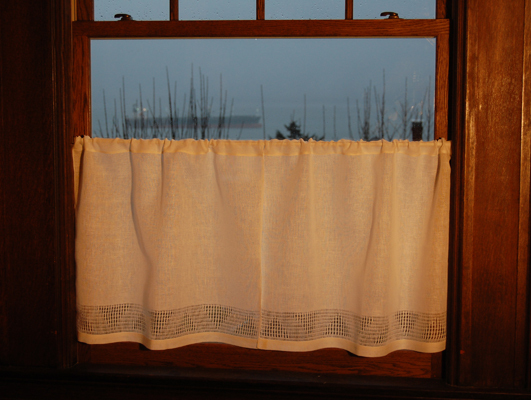 3 sizes of “Box-Hem-stitch” valances and curtains: 12″, 16″, 24″ each 50″ wide. 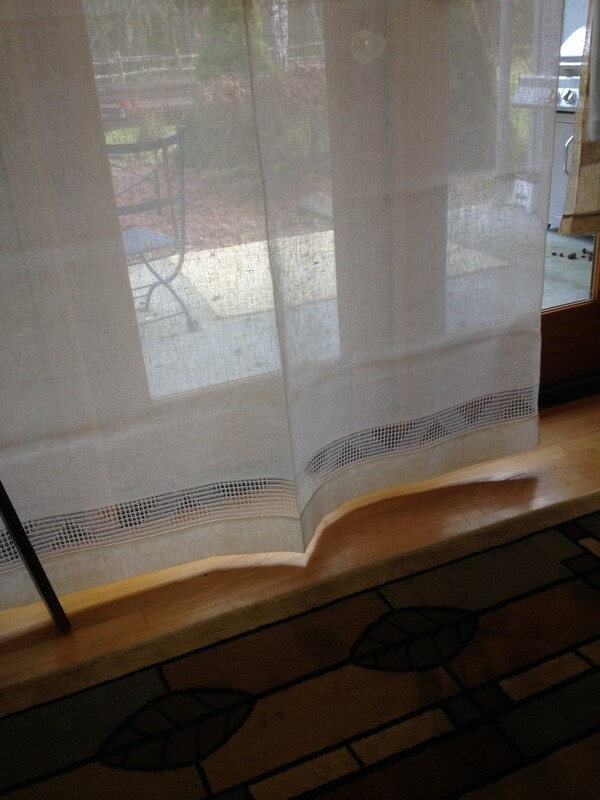 Cafe curtain with 3″ Art Nouveau style hemstitching; 50″ wide by 24″ high. Rod pocket size can be customized to fit the size of rods. 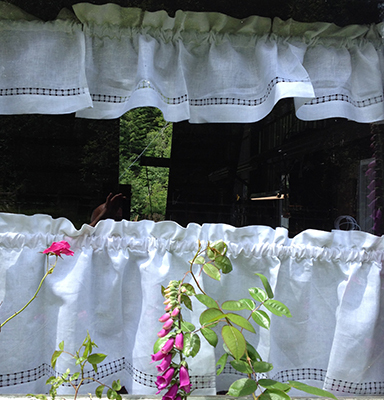 Art Nouveau hemstitch pattern can be added to custom length curtain panels. Top and bottom hems can also be customized. 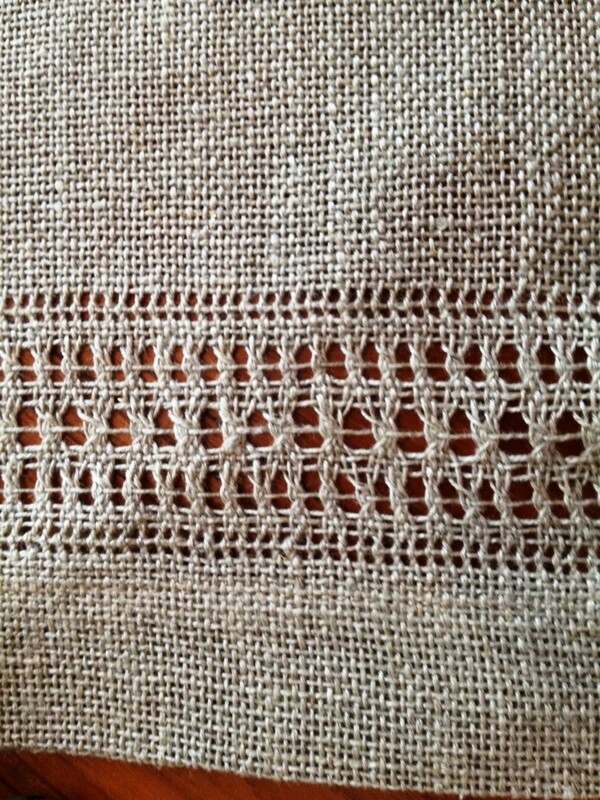 can also be used in any length curtain panel.